The TM300 provides plenty of great amps in a single stomp box, boasting authentic modeling technology for every situation. This highly acclaimed pedal features 3 classic guitar amps, 3 gain modes and 3 mic placements for a total of 27 configurations that let you easily achieve the most sought-after tube amp sounds from clean, crunch to super-fat distortion. 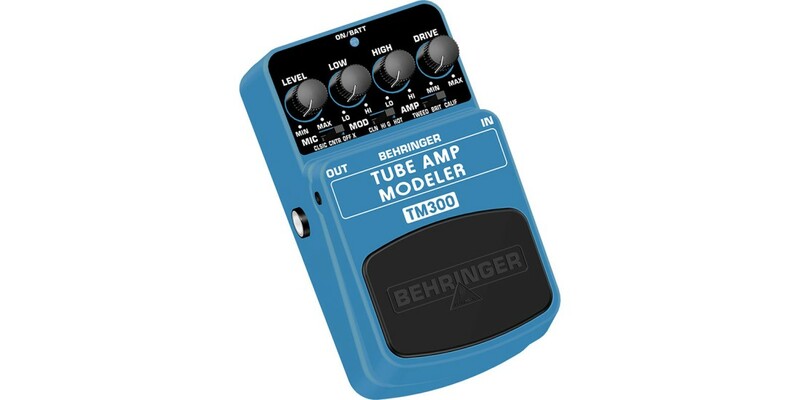 The TM300 features dedicated Drive, High and Low EQ, Level, Mic, Model and Amp controls for awesome sound shaping. A cool blue status LED for effect on/off and battery check plus a first-class electronic on/off switch for highest signal integrity in bypass mode are included. The TM300 runs on a 9 V battery or a DC power supply (not included). 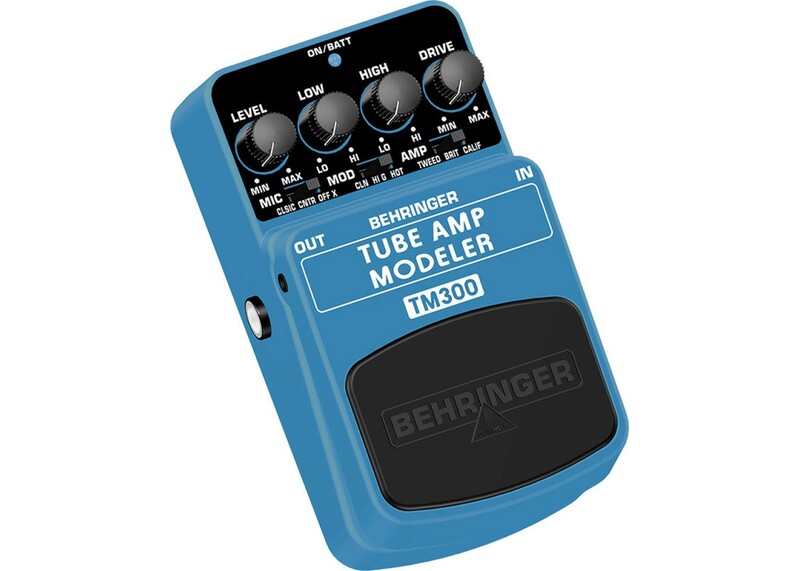 Get this amazing modeling pedal and take off with 27 killer sounds!